This is how I normally do a brooch back, covering the fixings with polymer to look neat. I use the super glue to hold it in place whilst I am working and I know the polymer clay covering the brooch bar will secure it but does the superglue survive the curing process? I had to do a quick test to find out. I tried 2 brands of superglue. The first, on the lilac chip, was Loctite universal super glue. The second, on the orange chip, was Kato PolyGlue Black Flex CA (CA being Cyanoacrylate the chemical name for ‘superglue’). I glued brooch backs in place and then cured them as I would a normal brooch made from Kato Polyclay at 150 oC for 30 minutes. Just to be sure there was no ‘damage’ to the glue I tried to push the brooch backs off. With quite some effort, more force than you would expect a brooch back to suffer in normal careful use, the Kato polyglued back came off. I did eventually manage to get the loctite one off too but it was much harder. It is always a good idea to test out new adhesives to be sure they are going to be suitable for your purpose. 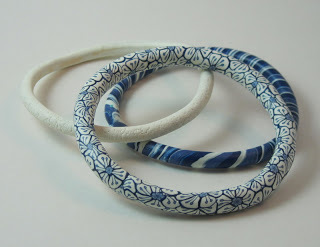 I like to always test a prototype of new jewellery to make sure it will be strong and durable and the materials I’ve used are fit for the job. 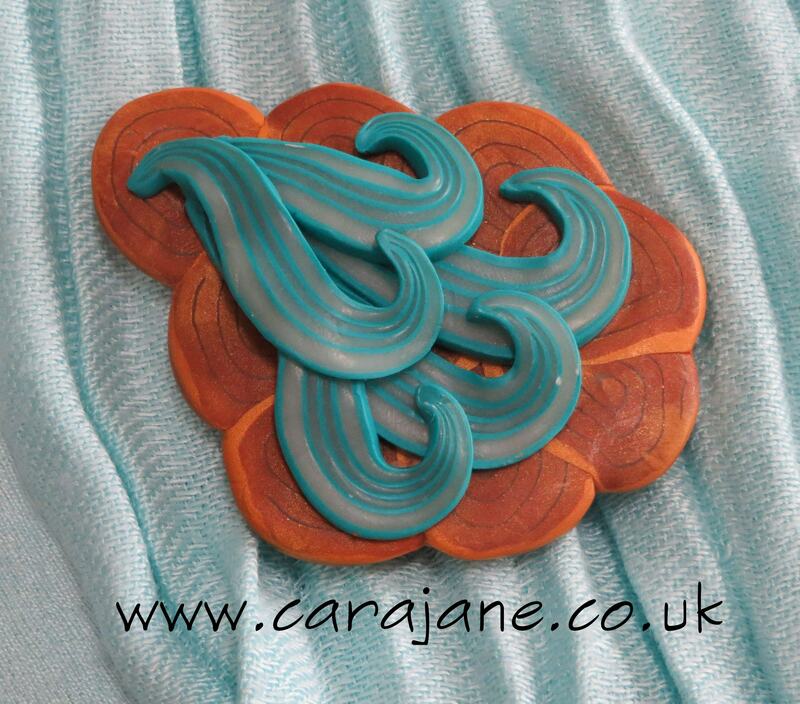 I’m having a break for a couple of weeks both at home and away with my family but I look forward to sharing some new polymer clay workshop dates and new jewellery soon. Breath of Gold Brooch Curing experiments – Fimo results Curing experiments part 2 – with videos! From Polymer To Art – Purple – I’m in it! Thanks for this, Cara, I was just wondering about this myself and it is really good to know! Ha ha if only you knew – I am a master procrastinator in many areas..
Well…who’d have thought! There’ve been many times when superglue would have been perfect, like in box making, but l didn’t dare use it! Thank you so much for this test, Cara!